Creating changes so that you’re living your most authentic life. As we approach the end of February and head into March, getting further away from the New Year’s resolutions, now is a great time to reflect on personal, professional, and business goals, ensuring that you are remaining intentional about life choices and where you place your time and energy. Are you living the life you want? Is your family living a life that reflects your values and priorities? And if you want to make changes, how do you get from point A to point B? 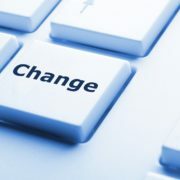 Get intentional and implement changes to design your life. Throw Out Your Preconceived Notions! In business, career, and life coaching, you are often asked to define your ideal day. What does your ideal life looks like? Often times answering these questions can mean throwing out preconceived notions of what your life “should” look like and digging deep to gain clarity about what you truly want. Designing your life is about identifying your values and priorities. Doing this type of honest reflective work can mean tweaking every day habits or developing new behaviors and mindsets. Designing your life and gaining clarity on what you truly want can mean identifying steps to implement major changes like switching careers, moving to a new city, or restructuring your business. 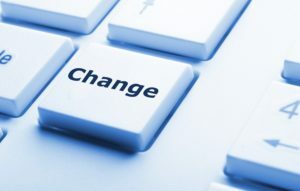 These changes may be personal changes that you implement on a individual level or it could involve implementing changes with your business partner, spouse, or family. Designing your life is ultimately identifying what your best life looks like, what you value, and then making sure your choices lead you towards that life. If you’re interested in working with me to guide you through designing your ideal life, text or call 804-869-5403 or request a consultation. I offer mapping and strategy sessions to individuals and couples who are looking to gain clarity and design their lives. I also offer business coaching, executive coaching, career coaching, and life coaching. As your intuitive guide, creative inquirer, and thought clarifier, I’m the coach most likely to “get you.” Fast. Your referrals are always welcome. We Are in the Middle of Summer and Renewal–Warm Up to It Before It Is Over! © 2014-2018 Organic Blueprints, Inc.